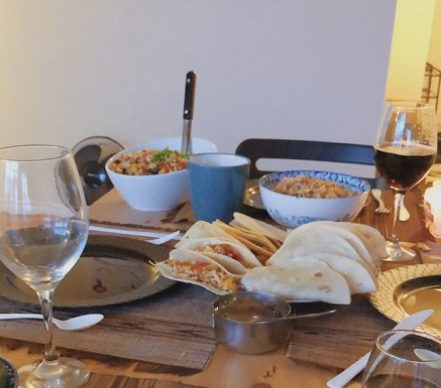 Many of us don’t need to be reminded that there’s only a few days left before exam season starts, but we might need a reminder to make time for a nice home cooked meal. It’s easy to turn to buying lunch or dinner when you’re tight on time during these next few weeks, but there are ways to make cooking an enjoyable experience while relieving some stress too. The Sil staff have compiled their favourite recipes that are easy to make, especially when you’re short on time. We encourage you to try them out, change up the ingredients and most importantly, take the time to take care of yourself this season. Pasta is a staple batch recipe since it’s fairly easy, delicious and lasts the whole work week. 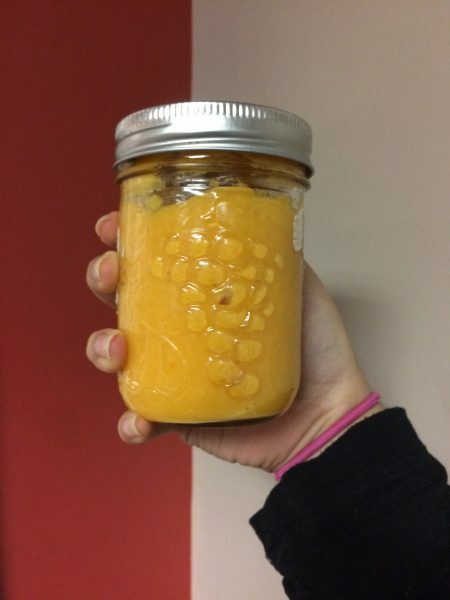 While most people don’t have time to make homemade pasta, students don’t have to rely on jarred sauces and compromise their time. 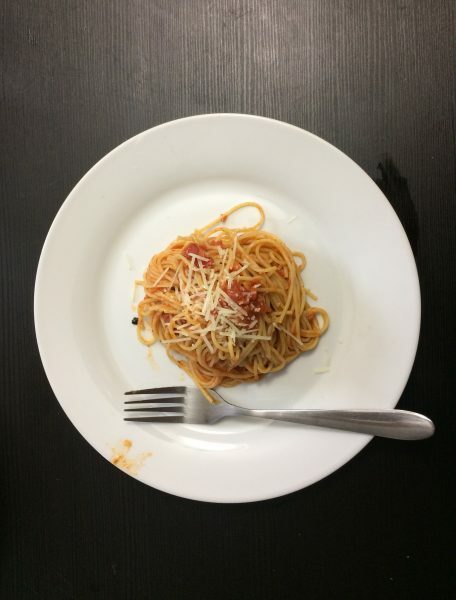 Making a sauce at home can seem challenging, but simple recipes like this one are great for students low on time and on a budget. I adapted this recipe from Bon Appetit’s Bucatini with Butter-Roasted Tomato Sauce. I replaced a few of the more expensive ingredients with more accessible, easier kept items that make more sense for students to keep around in the house. The recipe should make about four servings and take about 40 minutes, but only 20 of those minutes are active! This is a great recipe to make while studying at home — just pop the sauce into the oven and you’ll have a great sauce in no time! Crush the garlic cloves, removing their skin. Cut the butter into small cubes. Preheat the oven to 425°F. Pour the can of tomatoes into a rectangular baking dish. With your hands, gently crush the tomatoes. Add garlic and butter cubes to baking dish alongside tomatoes. Season with salt and pepper. roast for 20 minutes. Take the baking dish out of the oven and add the fish sauce and chili paste to the dish. If you don’t like heat, don’t add the chili paste! If you like it spicy, feel free to add more. Return dish to oven for another 20 minutes. While the sauce roasts for another 20 minutes, begin cooking the pasta. Boil four to five quarts of water, adding salt when the water starts to release steam. Once the water boils, add the pasta and cook according to the pasta’s instructions. Reserve one cup of pasta water, and drain the pasta. Once the sauce is done roasting, remove it from the oven and let it cool slightly. Using a fork or masher, crush the garlic and tomatoes into a jam-like texture. Add the pasta and sauce into one pot. Toss the pasta and sauce with tongs, slowly adding about ¼ cup of pasta water to thin the sauce. Serve while warm, garnished with parmesan. In an effort to describe how good this soup is, the most a room full of Sil writers could come up with is “warm, warm soup, it hugs you from the inside”. Pretty much everyone in the office will agree that this is a great recipe for soup. I typically double the recipe and freeze the soup in mason jars for when I need a quick, filling meal. This recipe is originally by Jennifer Segal and I made a few modifications to make it vegan friendly. This recipe yields 8 servings and takes about 45 minutes to make, but most of the time is spent letting the soup simmer. This soup can stay fresh in the freezer for up to 3 months, so it’s worth the investment in time. 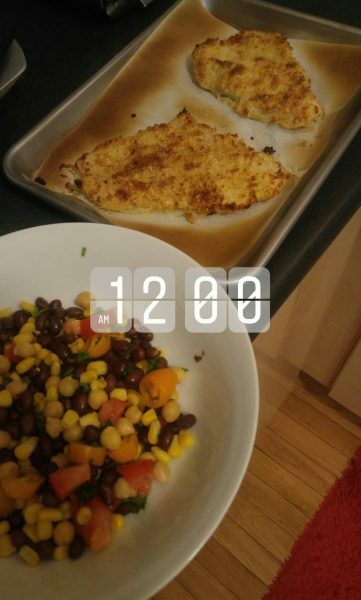 Just make sure to pop it into the fridge the day before wanting to reheat it! Add chopped onions and stir for about ten minutes or until soft. Avoid letting the onions turn brown. Add the curry powder and cook for an additional minute. Add chopped carrots, sweet potatoes, vegetable broth and salt. Allow the vegetables to come to a boil. Cover the pot and allow the vegetables to simmer on low heat for about 25-30 minutes. Stir in the chopped apples and honey. If you have a stick blender, you can directly puree the soup in the pot until the consistency is smooth and creamy. If you have a blender, let the soup cool slightly and then puree it in batches. Segal recommends leaving the hole in the lid open and covering it with a kitchen towel while blending to allow the steam to escape. Season your soup to taste with salt, pepper, curry powder or honey if desired. This is my go-to recipe for dinner with friends and potlucks. It also makes for a perfect side dish alongside lunch or dinner, I personally think it pairs really well with chicken tawook tacos and panko-breaded fish. This recipe yields about 3-4 servings and was inspired by Cookie and Kate. Over the past couple of weeks I’ve found myself become quite reliant on this recipe. It requires minimal effort, which means I can throw a whole batch together pretty quickly the night before my early morning commutes. This recipe has filling ingredients, can easily travel and can be modified to meet your taste preferences. I encourage you to keep things new and interesting with every rendition of the dish! In a large bowl (like really large), combine all of your beans, corn, chickpeas and vegetables. Add in the lime or lemon juice, zest, olive oil and season with ground cumin, salt and black pepper to your taste! I tend to go heavy on the cumin. You can serve right away or cover the bowl and let it chill in the fridge for a couple hours to really enhance the flavours. This recipe can also last in the fridge for about 2-3 days, just make sure to replenish the flavours by adding in lemon or lime juice and giving it a quick stir before serving! I also like to add fresh tomatoes. Garnish with slices of lime, extra cilantro, avocados or even some tortilla chips!